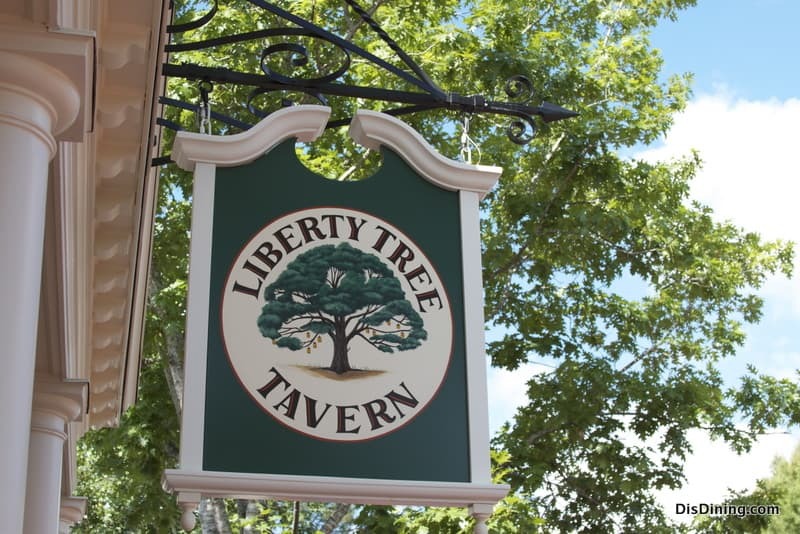 We ate dinner at Liberty Tree Tavern in Feb with reservations for 4:30 p.m. We were seated within 3 min. of arriving and at a nice table in the upper section of the main floor area, towards the back. Very nice setting and theming of this restaurant. We didn’t know quite what to expect but I already had a bit of an idea from my research ahead of time. We had a great waiter who explained how the meal worked. He then promptly returned with our drinks, fresh buns and a large bowl of baby greens salad with a strawberry vinaigrette. It was very good and we opted for a 2nd bowl it was so yummy. All the food is served to your table family (or sharing) style and is ‘all you care to eat’. Next came the extra creamy mac n’ cheese which was very yummy… the green beans, which were tossed in some kind of a garlic seasoning, also very good. Next was the large bowl of mashed potatos and the platter containing one of the best stuffing’s I’ve ever had, generous slices of roasted turkey, honey glazed ham, and large shavings of steak… all cooked to perfection. Oh and the gravy cannot be forgotten! Everything came hot and nicely presented. We had more of the mac n’ cheese, stuffing and steak. We were so stuffed, but we still managed to take care of the large family bowl of apple cobbler topped with vanilla bean ice cream which followed last. We all loved this meal, especially my husband as he was getting sick and tired of BLT’s, burgers, pizza, etc. and really appreciated a home style cooked meal for a change. We would definitely eat here again on a future visit. As we were on the dining plan, I can’t really contribute my thoughts on value here because you do save money on the plan. I do know that it was quite pricey if we’d been paying directly from our wallets…. but that’s nothing new… ALL the restaurants in Disney were of the same scale. Visit this place for a nice family sit down meal with quality food and surroundings…..